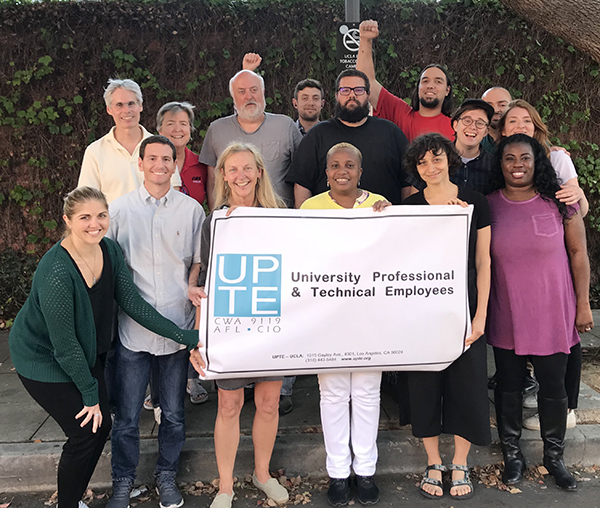 UPTE-CWA Local 9119 held an organizing blitz to fight back against a potential anti-union Janus Supreme Court decision in June by signing up almost 100 new members in the University of California system. The urgency of the pending Janus decision, as well as the local's fight to win pay raises and protect health care and pension benefits in bargaining were powerful messages, but having dozens of one-on-one conversations was the most important factor in the local's success in signing up new members. Efforts were led by Local 9119 Vice President Joaquin Chavez, Staff Representative Adrian Acosta, and Lead Organizer Paul Waters-Smith. They were joined by other officers and activists from Local 9119 as well as by organizers by organizers from CWA Locals 1104, 1180, and United Campus Workers – Tennessee and Georgia. Working together, the organizers met face to face, texted and connected with current members to locate the Agency Fee Payers (AFPs), and asked them to join UPTE-CWA. Local 9119 will continue its intensive organizing, involving more members and building organizing committees to strengthen the ongoing campaign. 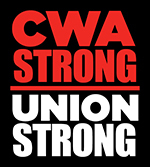 UPTE-CWA Local 9119 held an organizing blitz to fight back against a potential anti-union Janus Supreme Court decision, signing up almost 100 new members in the University of California system.